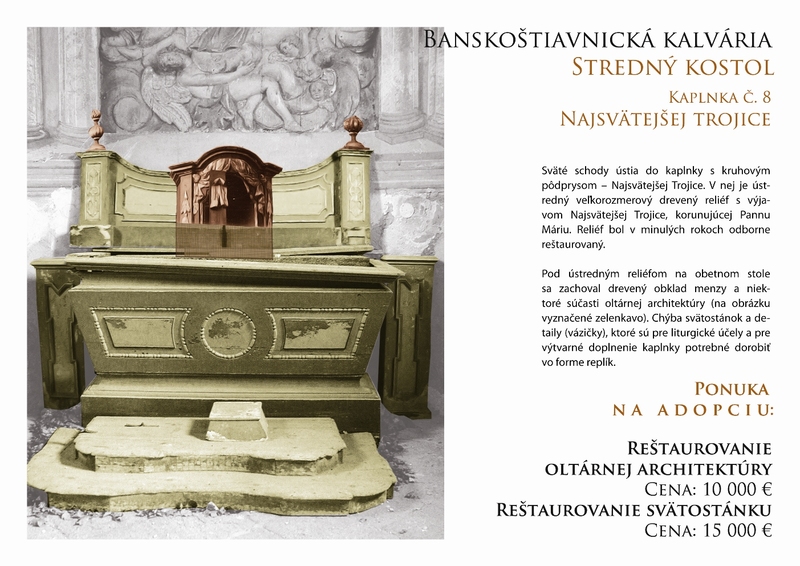 In its 7 years of existence, the Calvary Fund has so far managed to restore about half of the objects on the Calvary. 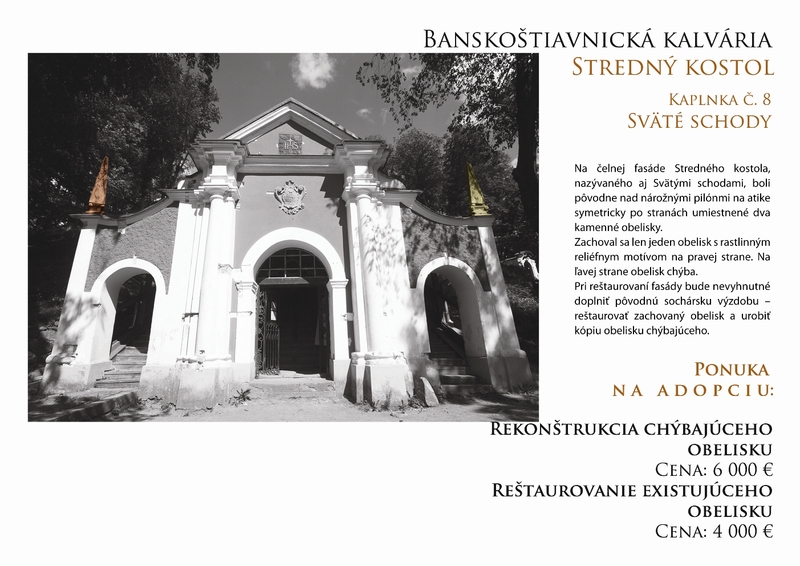 Work on the reconstruction started with the Lower Church and continued gradually via restoration of individual chapels and finally to the Upper Church. 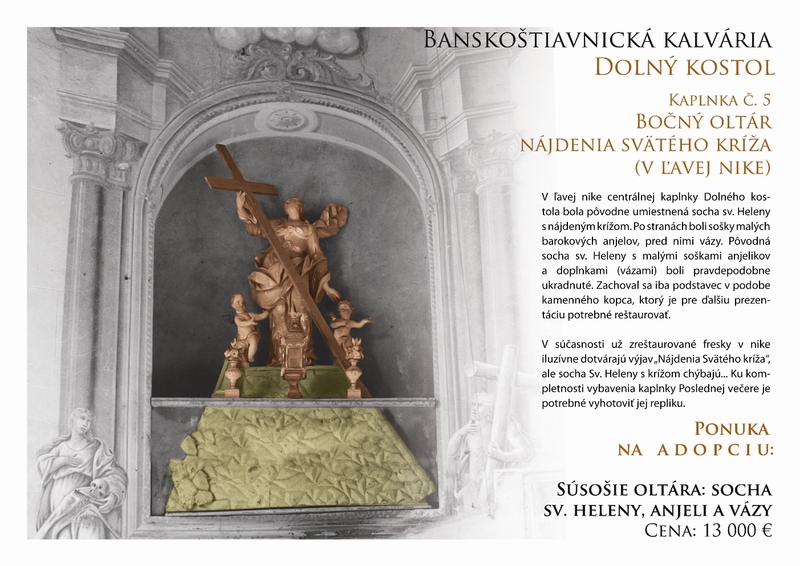 The aim of the Calvary Fund is not only to physically restore the churches and chapels of the complex, but also return them to their original form by including the uniquely artistic baroque scenery, created by life-size wood and stone sculptures of scenes from both the Old and New Testaments. 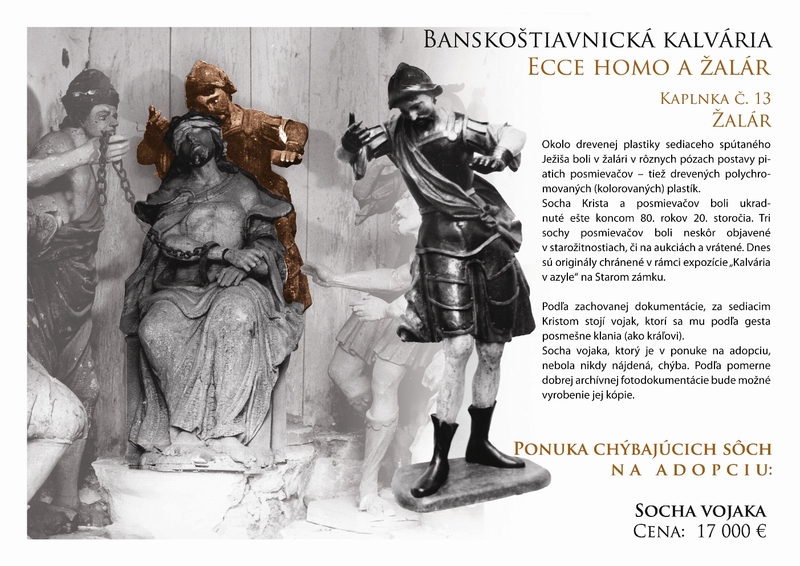 A number of these rare statues and sculptures were damaged by vandals, the ravages of time or have been ruthlessly stolen, which hampers our intent to ensure that the Calvary will fulfill its essential liturgical function. 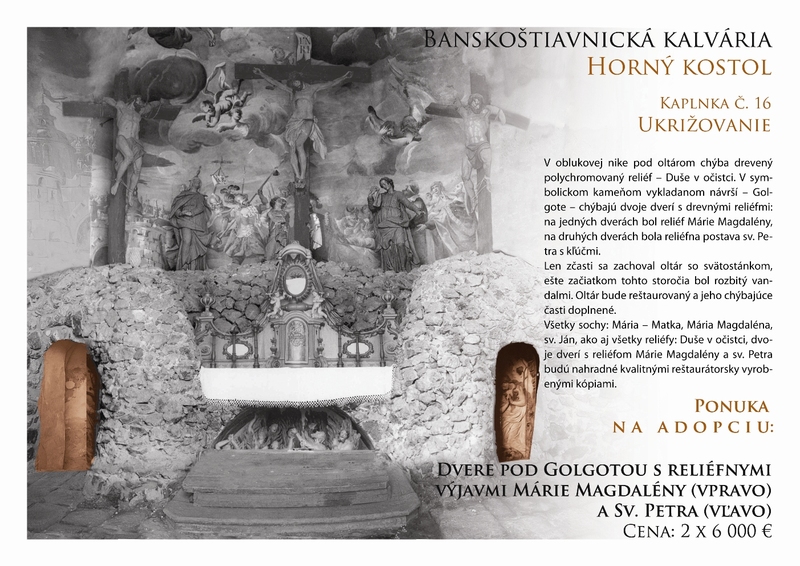 We therefore found it necessary to compile a catalog of the original sculptural decoration of the Calvary and after its completion, we found the total number of sculptures and original art elements missing to be 60 sculptures and 18 artistic elements (reliefs, obelisks, etc..). 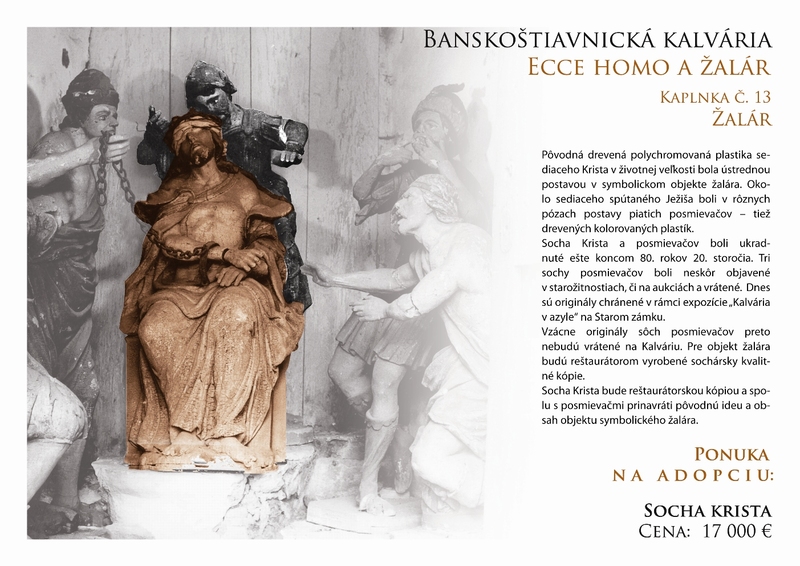 Of this total, nine statues have been preserved, although manufacture of a copy is required, and eight other sculptural elements of interior and exterior of the churches is so damaged as to require extensive restoration. 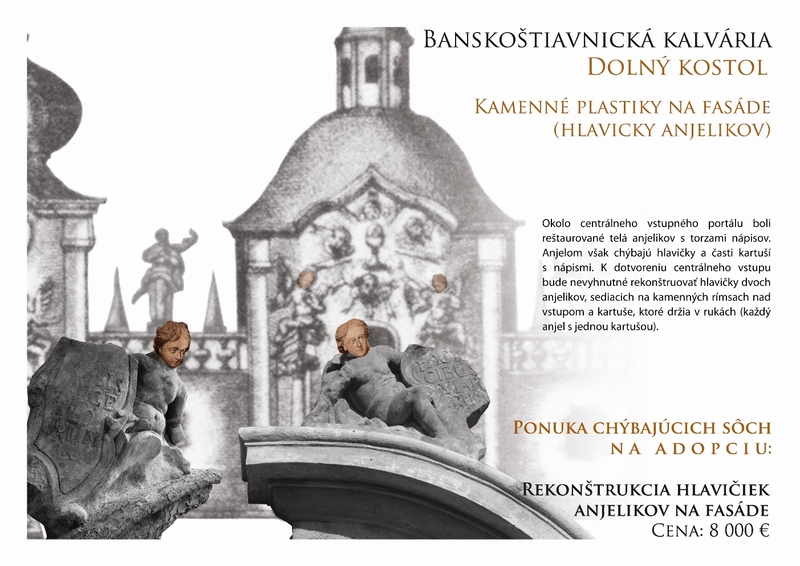 The restoration of all surviving elements and manufacture of the copies of the missing statues together cost a total of 653,700 euros! 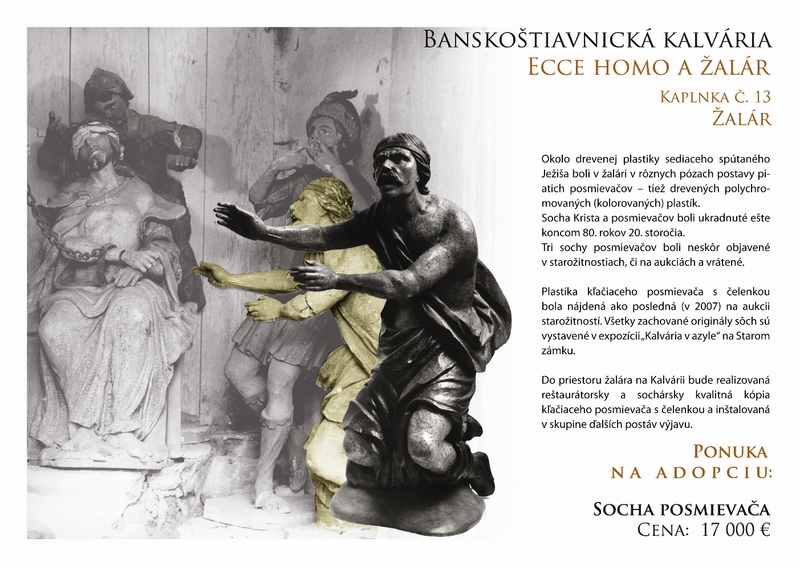 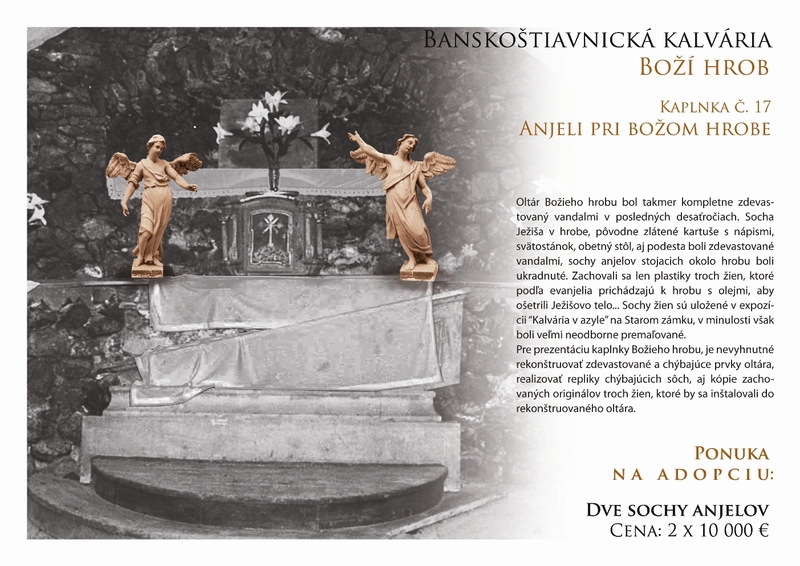 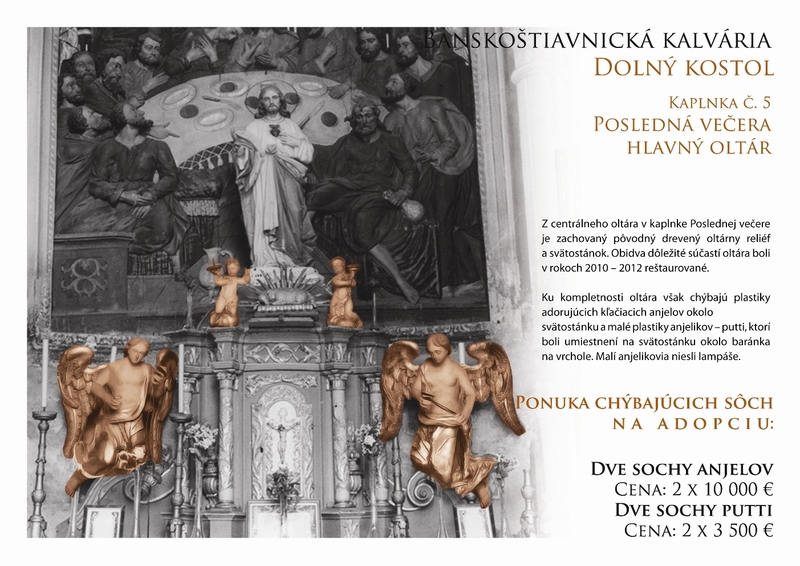 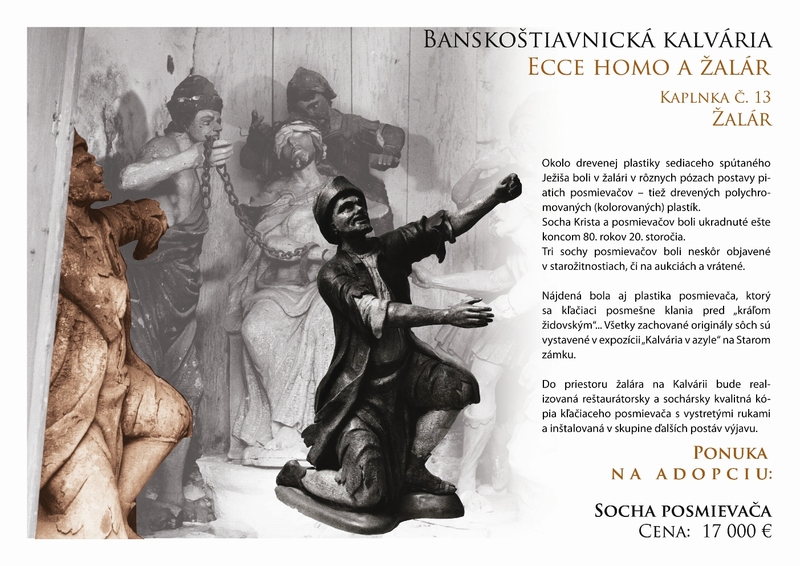 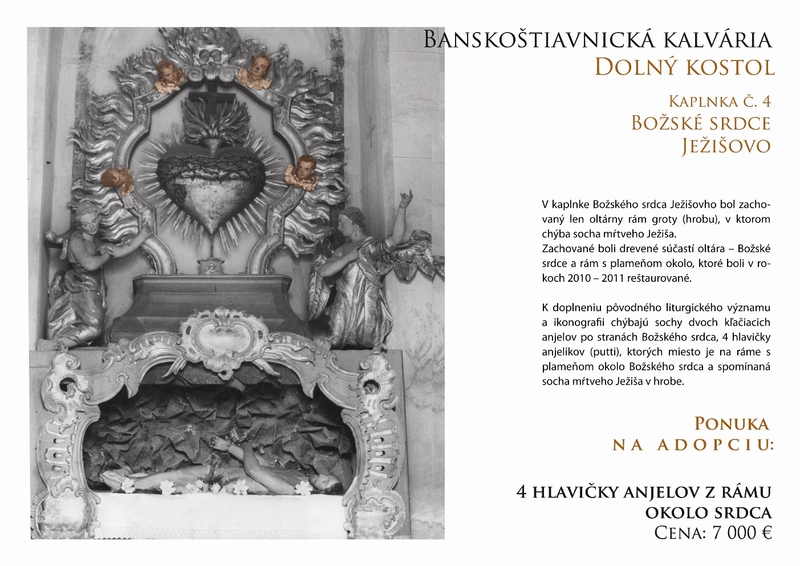 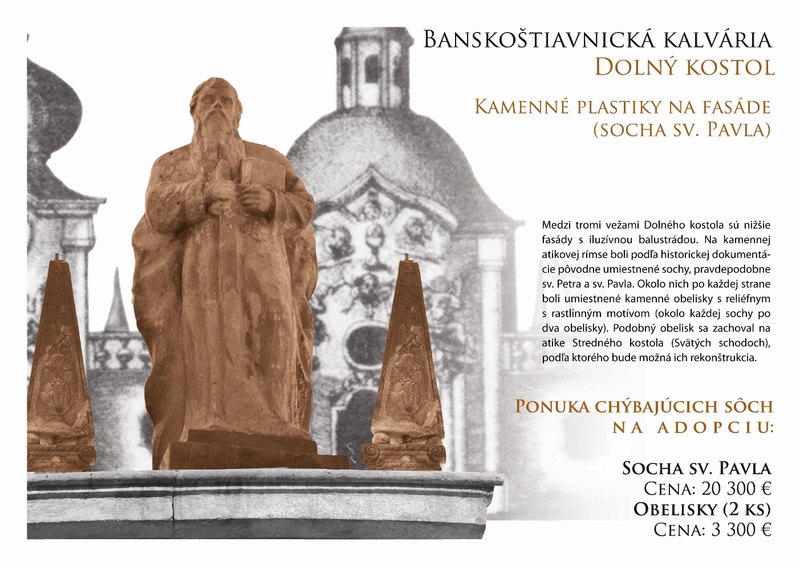 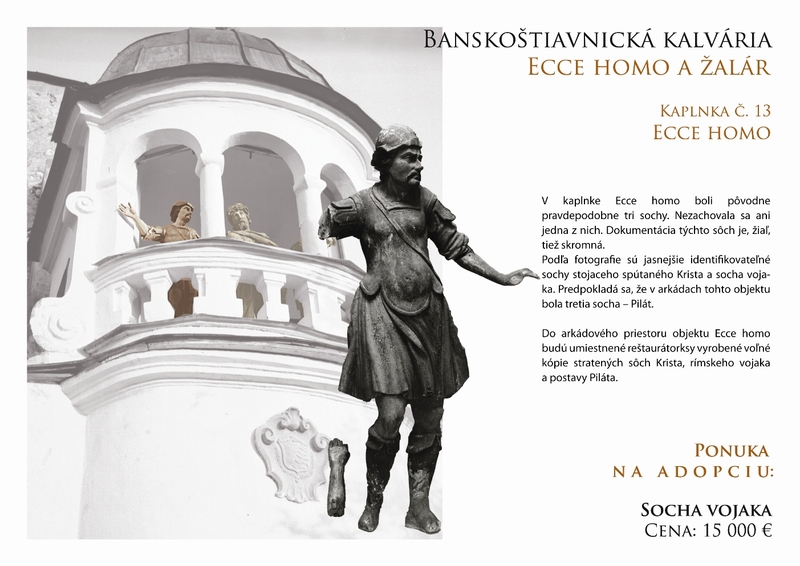 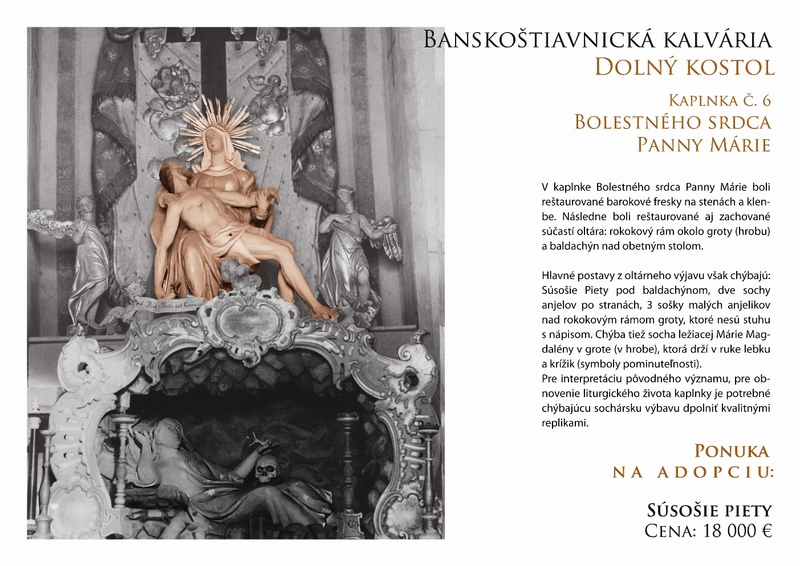 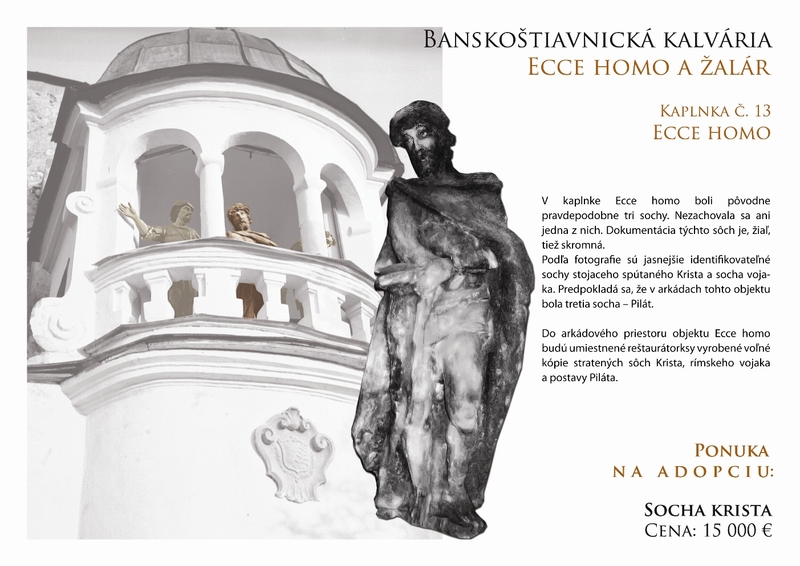 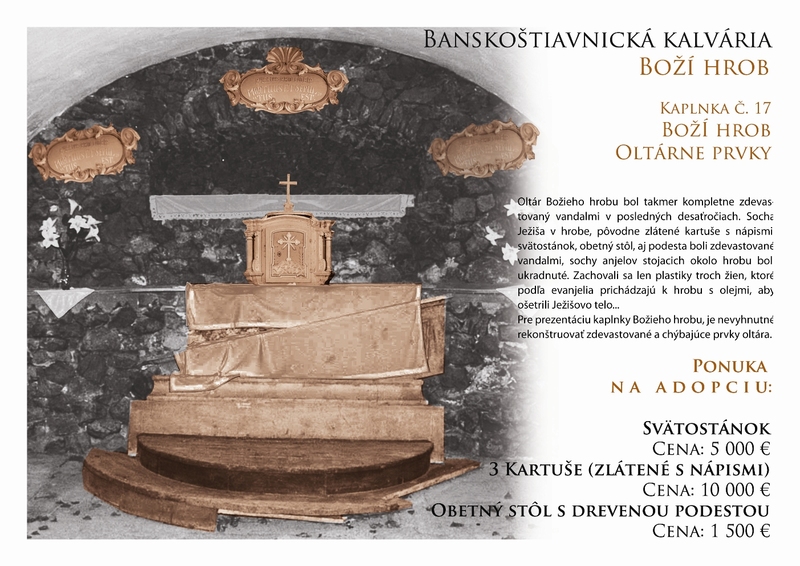 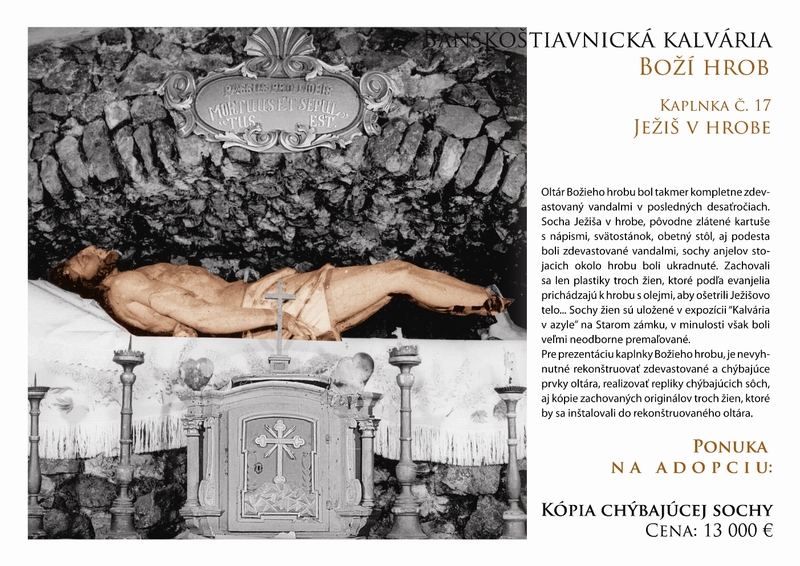 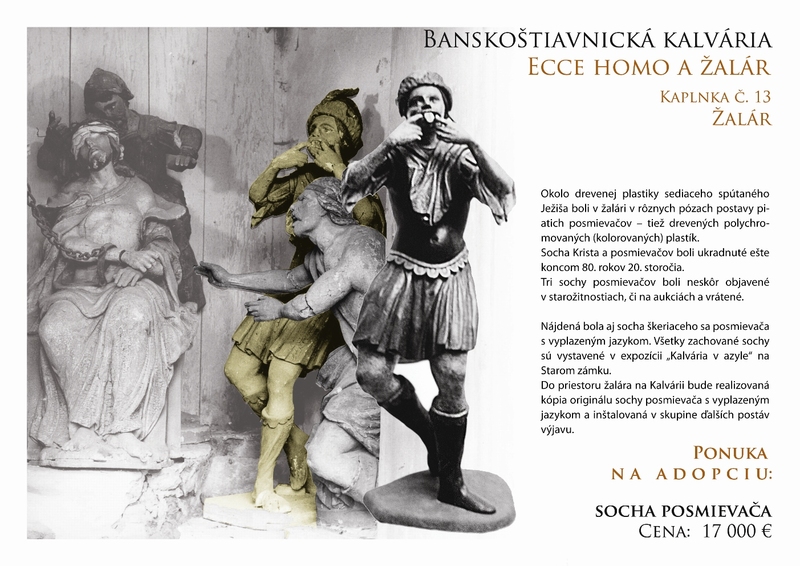 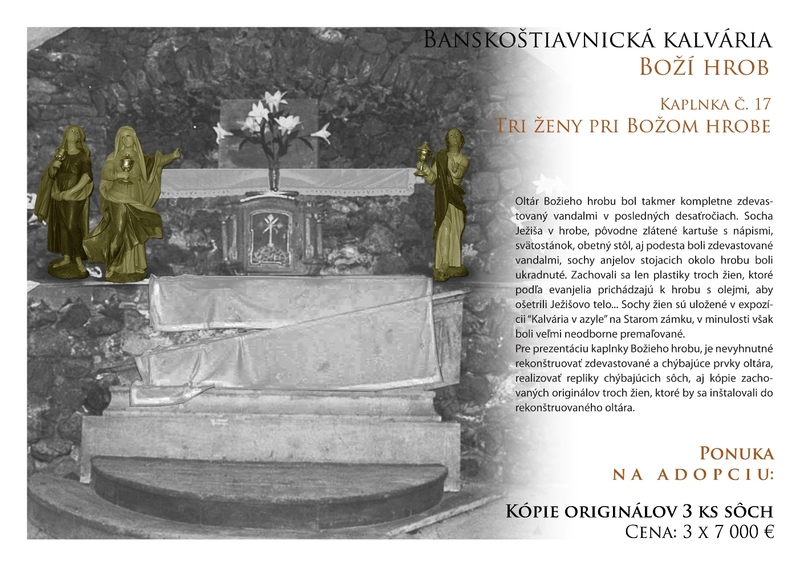 To assist with the needed financing, we are now presenting “The adoption catalog – the missing statues of Calvary” (as of now available only in Slovak), which will give the culturally concerned the Christian public of Slovakia the opportunity to symbolically adopt individual sculptures or art elements, thereby contributing to their restoration. Restored sculptures and elements will forever decorate the interior of chapels and churches so that the Calvary regains its original artistic form and liturgical significance. 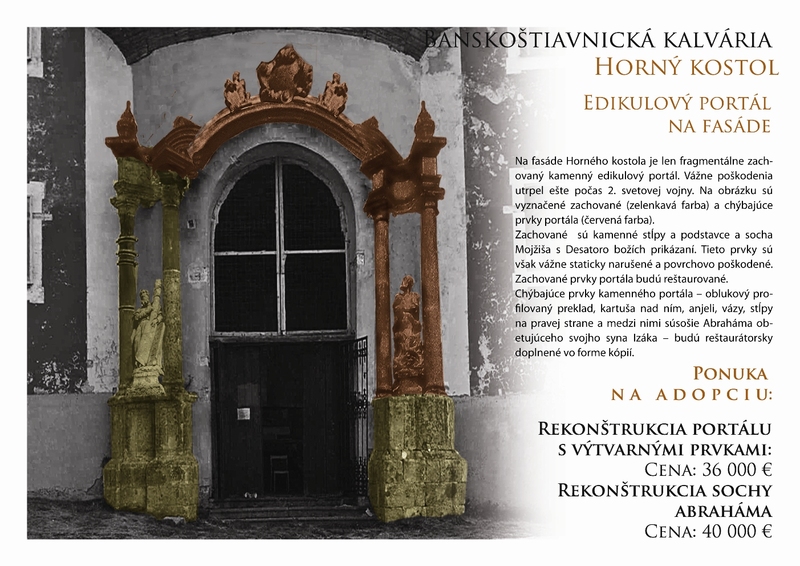 For your generosity and contributions to the restoration of the original decoration of the churches we thank you in advance! 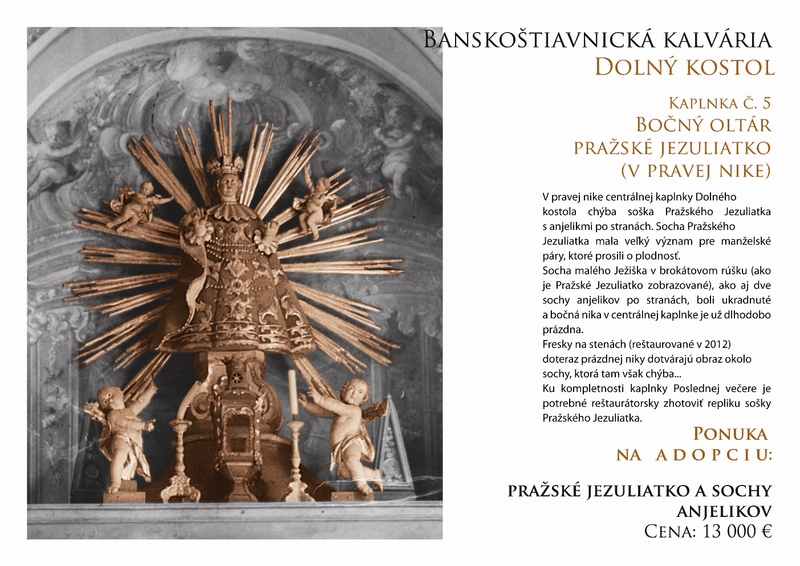 With respect to the adoption of particular pieces, the terms and conditions of the adoption will be contractually agreed with the Calvary Fund. 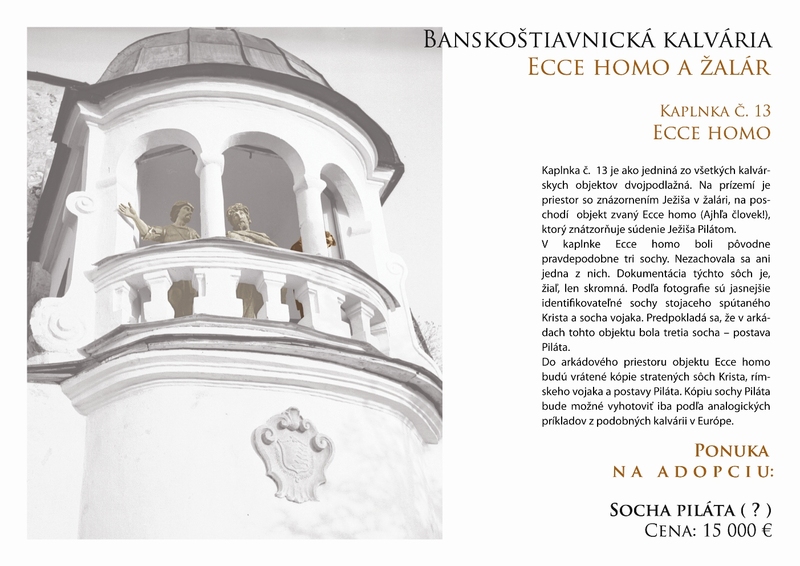 If interested in adoption and receiving more comprehensive information, please contact us!